The Stages Carbon GXP for SRAM MTB Power Meter is a proprietary Stages carbon crank arm, made specifically to work SRAM 1x and 2x GXP mountain cranks with a 168 mm Q factor. Like all Stages power meters, this unit features +/- 1.5% accuracy, 200 hours of battery life and is lightweight at only 20 grams of added weight. In addition, the power meter is compatible with both ANT+ and Bluetooth SMART devices. This means you can use a bicycle computer with ANT+ or your smartphone or tablet with Bluetooth SMART. 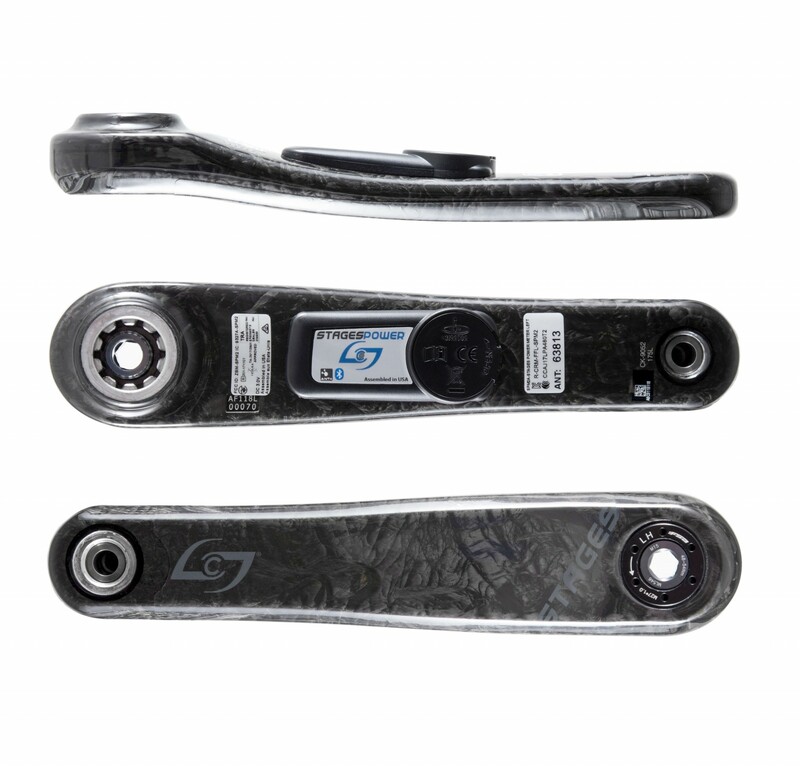 This Stages power meter is made to work SRAM 1x and 2x GXP mountain cranks with a 168 mm Q factor. This is already my second MTB power meter from Stages. First one was Sram X9 and lasted for 5 years from 2013 to 2018. Will see how long the second one would survive. Excellent service from PowermeterCity shop including direct sale and quick delivery to Russia! Hi Ivan. Thanks for the review. We trust your new Stages will last just as long as your previous one! We are here if there is anything else we can do. So far so good with this power. Data reads very well. I wish it came with a crank arm boot though – I had to fashion one out of a SRAM one. Note that the total crank arm length is longer than usual; the pedal hole is the right spot but arm extends a little father down under it, making it hard to find a crank boot that fits. Why wouldn’t Stages include one? Every carbon crank I’ve had has come with them. Otherwise, a great product. Hi Cody. Thanks for the review of your Stages Carbon GXP MTB. UPDATE – These crank arms now come with crank arm boots! Let us know if you still need one and we would be happy to send one out.